Terrain : 90% of the land is flat and the soil is very fertile. Punjab, the land of five rivers and integrated cultural history,is a treasure trove for an avid tourist. For this land of the great gurus not only boasts of ancient monuments but throbs with historical embodiments. It is no secret that whoever comes to this land of yellow fields with Blue Mountains providing the romantic and picturesque backdrop has never gone back without imbibing the essence of Punjab. The state Punjab has achieved tremendous growth over the years due to the success of the Green Revolution in the early 70s. For a major period in the second half of the 20th century, Punjab led the other states in India to achieve self-sufficiency in crop production. The other major reason for the prosperity of the state are the great number of people who left their home for the countries in Europe and North America and, after long struggles, achieved successes there. The most important tourist center in the state of Punjab is Amritsar with its Golden Temple. This temple is considered to be the holiest of all the pilgrimages of Sikhism and houses Akal Takht, the supreme governing body of Sikhism. The Jalianwallah Bagh is a small park in the city where many pilgrims were massacred by the British police in the year 1919. Wagah is the only open land point between India and Pakistan. The Changing of Guards and the ceremonial lowering of the flags ceremony at sundown are great tourist attractions and have their own symbolic importance. 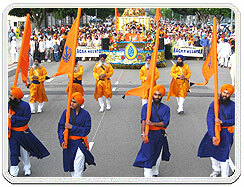 The festivals in Punjab have always been celebrated with much exuberance and fanfare. For the masses these festivals are popular occasions for social interaction and enjoyment. Punjab being a predominantly agricultural state that prides itself on its food grain production; it is little wonder that its most significant festival is Baisakhi, which marks the arrival of the harvesting season. For the Sikhs, Baisakhi has a special significance because on this day in 1699, their tenth guru, Guru Gobind Singh organized the Order of the Khalsa. 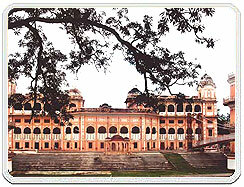 The various cities in the Indian state of Punjab are easily accessible through air, road and rail. Tourist places in India can arrange for all local transport during your visit of any of the cities in Punjab. In order to make the travel tour to Punjab even more joyful you need to choose just the right kind of accommodation for you and your family or friends in the various cities of Punjab. 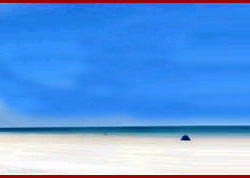 The various hotels packages in Punjab offer the best of facilities. You may take your pick from a range of luxury and budget hotels in Punjab besides the star categorized accommodation hotels around the landmarks of Punjab offer excellent view of the landmarks through their suites. Most of the places to stay in Punjab are strategically located in the business district or near the airport and the railway station of the cities. Chandigarh is the capital of Punjab and the language spoken is Punjabi. It is a typically north Indian city with an interest in Delhi: every family has one family member either working in the capital or atleast a married daughter staying in Delhi. People in Chandigarh lead disciplined lives. Unlike its more industrial neighbours like Ludhiana, it's a service-oriented culture here. 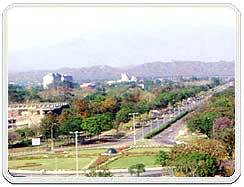 Chandigarh, is on the whole, a clean, educated and corporate place. The determined industrialization of the state has moved the people from their farms to businesses of transport and motor accessories. But by and large Punjab remains a land of large farms, robust food and an animal zest for life. Even today, the family is the epicenter of their lives, with generations sitting down together for the evening meal. The genius of Punjabis finds expression in love stories, lusty dancing, and humour. Most popular Punjabi dances are: Bhangra, Giddha, Jhumar, Luddi, Dankara Julli, Sammi, Dhamal, Jaago, Kikli and Gatka. The mirasis (professional wits), naqalias (mummers), and domanis (female singer-actresses) are professional performers belonging to the lower classes. They exploit all the tricks of exaggeration, absurdity, malapropism, comic gags, and lewd references. The economy of Punjab is characterized by a productive, increasingly commercial agriculture, a diversity of small- and medium-scale industries, and the highest per capita income in the nation. Wheat and cotton are the principal crops. Live- stock and poultry are also raised in large numbers. Industries with the largest number of workers include cotton, woollen and silk textiles, metal products and machinery, food and beverages, and transport equipment and parts. Others: hosiery, bicycles, sewing machines, and sporting goods. Weaving of durries (cotton bed or floor spreads) in myriad motifs and designs especially by young girls in the villages has been a long tradition in Punjab. Needlework of Punjab is unique.Baghs, Phulkaris, rumals and scarves are intricately designed in rich traditional patterns and motifs. The woodwork of Punjab has also been traditionally famous. Artistic beds with comfortable, skillfully made back rests fitted with mirrors and carved colourful legs called Pawas, low seats called Peeras, Peerian were made by the carpenters in almost every village. Furniture designed with inlay ivory work, coloured mirror and engraved woodwork is also exported to different countries. Climatically the state has three major seasons. Hot weather ( April to June) when the mercury shoots up to as high as 110 F. Rainy season is from July to September. The average rainfall annual ranges between 96 cms in the sub-mountain region and 58 cms in the plains. Winter months are October to March when the temperature dips to as low as 40F. October to March is the best season to visit. Holla Mohalla during March-April at Anandpur Sahib; Bawan Doadsi is celebrated 18 days after Krishna Janmastami at Patiala; Jor Mela at Sirhind; Harballabh Sangeet Sammelan is organised every year in last week of December at Jalandhar; Baisakhi in April; Lohri, another seasonal festival in mid-January. Other feasts to mark anniversaries of the 10 Gurus are also observed. Terrain : 90% of the land is flat and the soil is very fertile . Hot weather is from April to June when the climate of the plains is excessively hot and dry with temperatures as high as 49� C (120� F). Rainy season is from July to September. The average rainfall annual ranges between 96 cms in the sub-mountain region and 58 cms in the plains. More than 70 percent of the annual rainfall occurs during this monsoon season. Winter are cool with some frosts. Annual rainfall ranges from about 915 mm (about 36 in) in the north to 102 mm (4 in) in the south. The average temperature in January is 13� C (55� F), although at night the temperature sometimes lowers to freezing. Winter months are October to March with cool and pleasant weather. Best season is October to March. Cotton clothing are apt for the summer months and woolens are required for the winter months. Punjabi is a intercontinental language. Its speakers are spread all over the world. The natives of Punjab region of India and Pakistan speak this language. Basically the Punjabi is the language of Punjab. The word Punjab is made up of two words Panj and Aab. Panj means five and Aab means water, the land of five rivers. This name was probably given to this land of five rivers possibly in an era when this region came into close contact with persia. Prior to that period this region was known by different names at different times. Probably when at the height of its glory it was known as Sapta Sindhu, the land of seven rivers. Punjab lies in the North West of India. Being in the way of invaders from the North, Punjab has had to take a lot of bottle ring from the invaders. So there are ten vowels in Punjabi. These pure vowels also get nasalised. Nasilisation of final long vowels is extremely common, especially in dialects. Punjabi has a number of diphthongs. The first member of a diphthong is always a short and the second one is a long vowel. Ia, Io, Ic, ei, ee, eu, ua are the diphthongs in Punjabi. The stress is an important feature of Punjabi. In general the number and distribution of long and short syllables determine the position of the stress in a word. The airports of Chandigarh and Amritsar are well connected to other cities in India by regular flights. Punjab is extensively linked to the other parts of the country by rail network. Chandigarh, Amritsar, Ludhiana, Pathankot, and Jalandhar are the major railway hubs in the state having trains for most parts of the country. BY AIR - Chandigarh and Amritsar both have airports are connected to other cities in India by regular flights. Indian airlines do have regular flights from Chandigarh to Delhi, Lucknow, Leh, and Amritsar. Jet air also has regular flights to Chandigarh. BY RAIL - Punjab is extensively linked to the other parts of the country by rail. Chandigarh, Amritsar, Ludhiana, Pathankot, and Jalandhar are the major railway hubs in the state from where one can take trains for most parts of the country. BY ROAD - The entire state is connected through an extensive network of medalled roads. State Highways connect major cities to the state capital. NH 1 or the Grand Trunk Road connects the state with most of the north as well as east India.